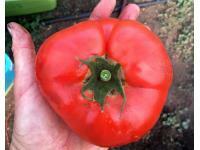 Join the TOMI team on January 30 for a free how-to webinar on growing organic tomato seed. TOMI trials (and everything else) are thriving at the Purdue Student Farm. This project was funded in 2014 by the Organic Research and Extension Initiative grant, part of the USDA National Institute of Food and Agriculture. Award # 2014-51300-22267. Period of funding 2015-2019.